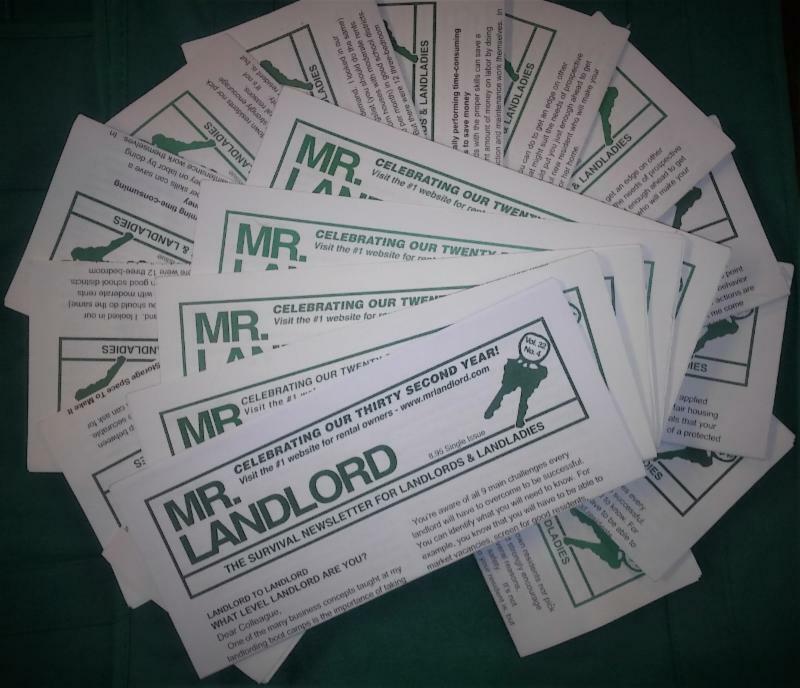 For a limited time, you can now order a special Collector's Set of 20 of our most popular Mr Landlord's Newsletter issues from the last 12 years. Yes, you read right. We've never done this offer before. We will hand-pick 20 at random of our best newsletter issues from the last 12 years and send them to you for only $20 plus $5 shipping Your total cost only $25. This is normally a $150 value! Why are we doing this?? Because we recently were going throughout our warehouse and saw that we had inventory of valuable newsletters that could be of so much benefit to landlords. We figure why not offer them for pennies on the dollar to our Update readers and website visitors and have a win-win deal. We are only asking you to cover what was our printing, shipping and handling cost and you receive literally hundreds (actually thousands) of dollars of wealth building ideas for only $25. WOW!!! We will make this offer only while we still have issues in our warehouse. Call now to order. Ask for the Newsletter Collector's Set of 20 Issues for only $25. If you order more than one set, we will make sure that each set has a completely different set of newsletter issues. With this special promotion, you can only order up to a maximum of 2 sets per customer. Our toll-free number is 1-800-950-2250 and let us know if you want one set or two. Or click below now to add to your cart. Copyright © 2019 MRLANDLORD.COM All Rights Reserved.